The historic city of Budapest with its stately buildings, regal ballrooms and meandering Danube River, flowing through the heart of the city, has all the ingredients to be one of the best destination wedding locations in the world. One area in the city that’d be very romantic for a wedding would be the Buda Castle District. Did you know it’s also listed on the UNESCO World Heritage List? 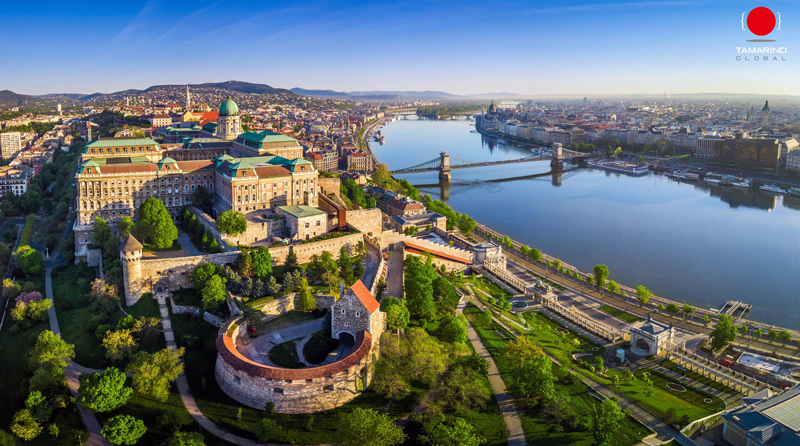 The Hilton Budapest, located in this district, offers breathtaking views of the Danube River, the iconic Chain Bridge, the impressive Parliament building and the green Buda Hills. Within the Buda Castle, Savoy Terrace and Lion’s Court are also stunning choices. To experience idyllic weather, plan your wedding between March to May or from September to November. What also makes Budapest one the most impeccable wedding destinations abroad is that your wedding guests are sure to have a brilliant experience. Leave your guests in the good hands of Tamarind Global Weddings – we’ll see to it that they get to explore every corner of this city rich in culture and heritage! Picture Vienna and what you do you see? Coffee houses and cakes, cosy wine taverns and a juxtaposition of imperial traditions and stunning modern architecture? If you’re looking to get married in Vienna, take your pick from a wide range of contemporary and traditional wedding venues including hotels, castles and chateaus (in Austria, they’re called ‘Schloss’ or ‘Burg’). The charm of the city, along with the beautiful atmosphere, makes Vienna one of the most coveted wedding destinations abroad. The Liechtenstein Garden Palace, with its baroque flair and romantic parks, and the exclusivity of the imperial Schonbrunn Palace are two examples of wonderful Viennese wedding venues. Tamarind Global Weddings suggests planning your wedding from April to May or September to October to enjoy lovely weather. Celebrate your special day in the romantic resort town of Montreux and experience the beauty of the iconic Lake Geneva as well as an unparalleled backdrop overlooking the Alps! One of the most idyllic wedding destinations abroad, Montreux has a host of beautiful hotels near the lake where you can have your wedding. Experience Montreux at its best between March to June. 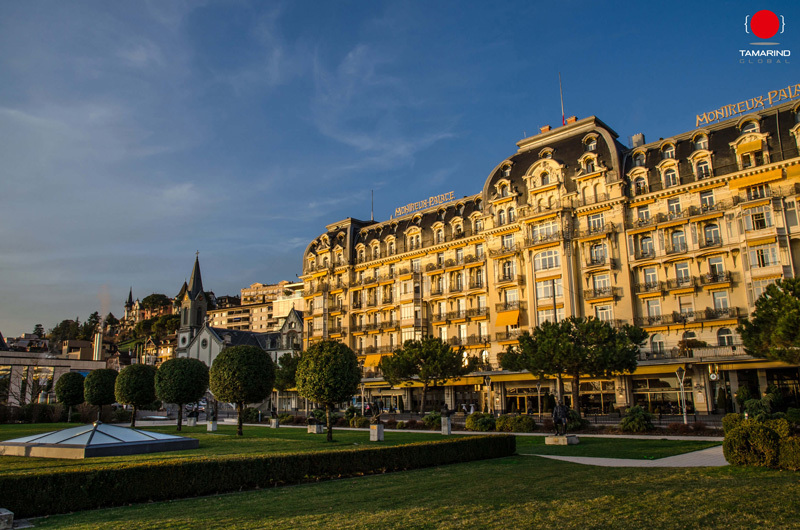 The Fairmont Le Montreux Palace is an exceptional wedding venue where your luxury wedding planner can organize a truly elegant and sophisticated celebration for you and your guests. Another timeless venue would be the Grand Hotel Dulac offering world-class services and a panoramic view of the lake. To ensure your wedding guests soak in the culture of the locale, Tamarind Global Weddings will arrange for guests to visit attractions such as the lakeside Chillon Castle, Montreux Casino, Gruyères Castle, Charlie Chaplin Mansion and can even plan a rail journey for them through the countryside. Always keeping an eye on the best destination wedding locations around the world, Tamarind Global Weddings is with you every step of the way while planning your dream European wedding. We will make your special day unforgettable for both you and your wedding guests.